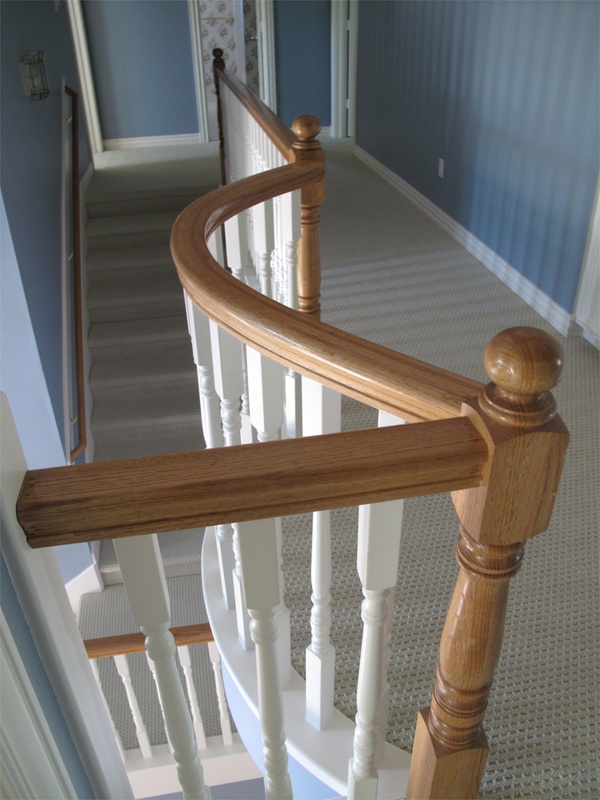 This is the kind of banister which you find in so many houses around suburbia – they all look the same. Since we did not want to spend the money to change the design we opted for a new color combo. 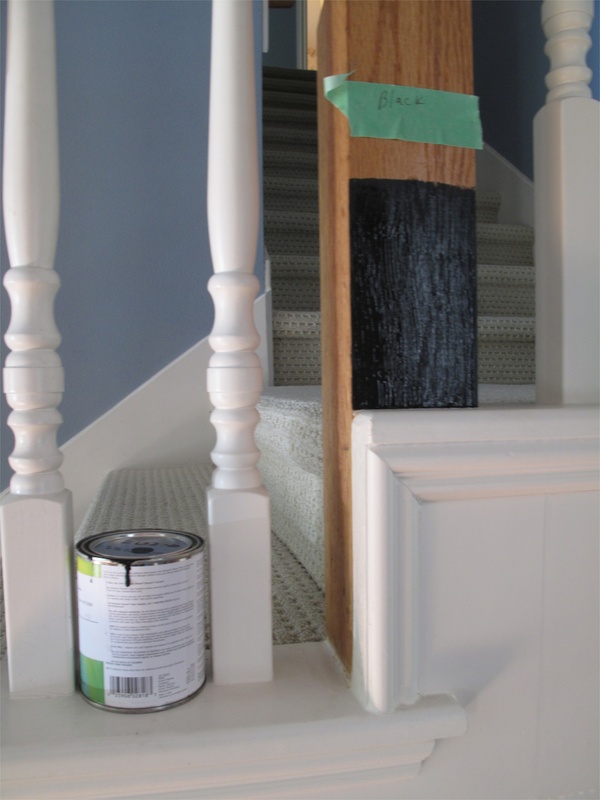 We picked “Black” by Benjamin Moore and were very happy with the first testing. 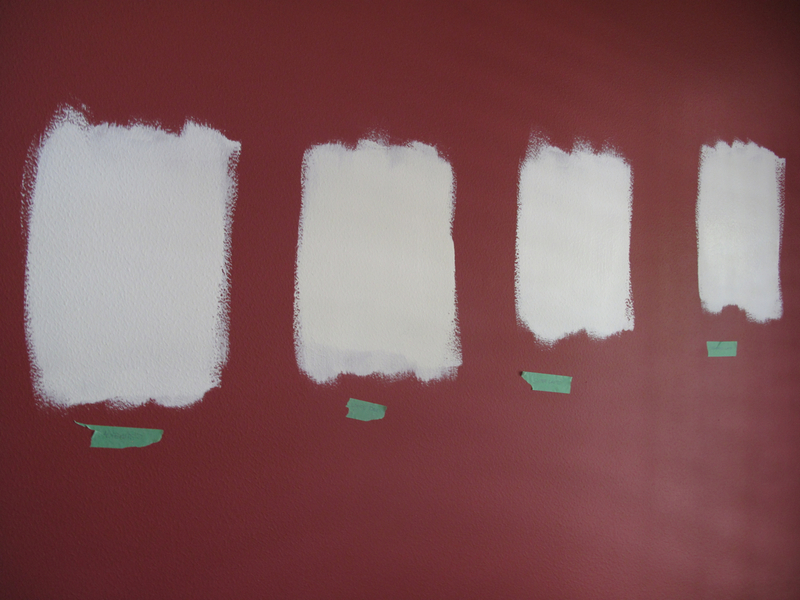 It was clear from the beginning that we had to repaint the whole house. I mean – the WHOLE house! 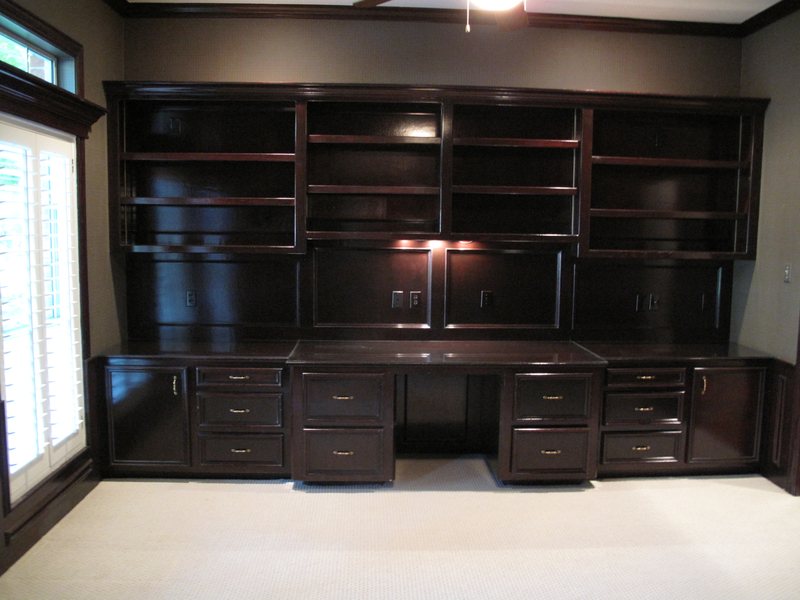 Not only walls, but also trim, baseboards, doors, windows, but also all cabinets in the kitchen, bathrooms, livingroom, office and also all the shelves in the closets. 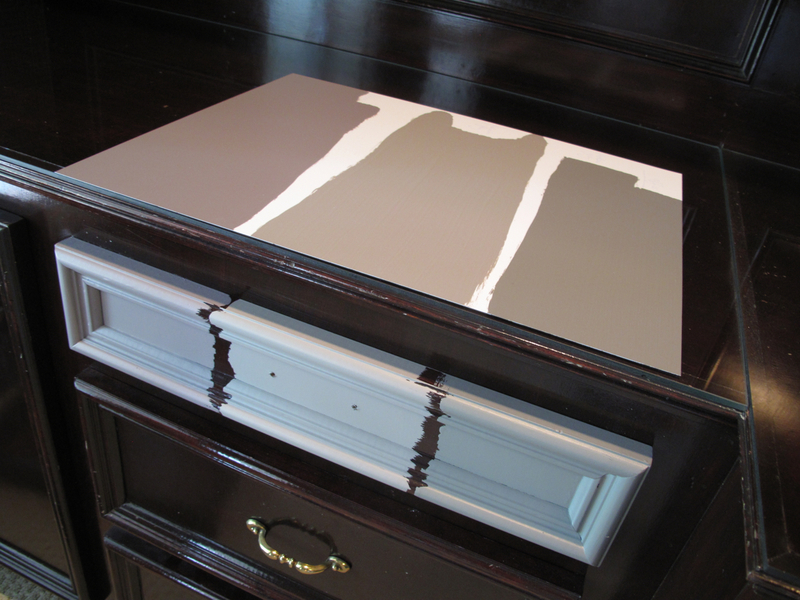 After a trip to Benjamin Moore we came back with 6 samples and had the painter paint swatches on walls and drawers. All 6 of them were a miss! 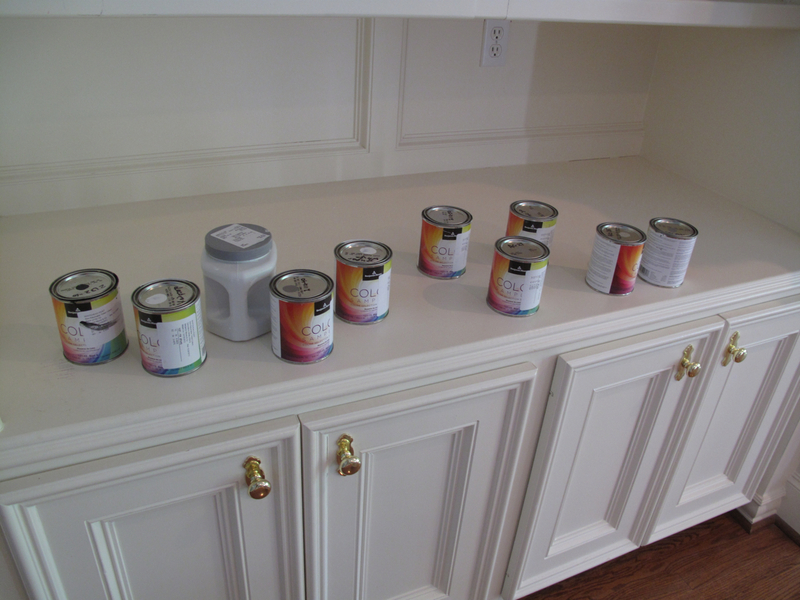 So back we went the next day and got 6 more – and – we were happy to make a decision. White, white, white – but which one???? 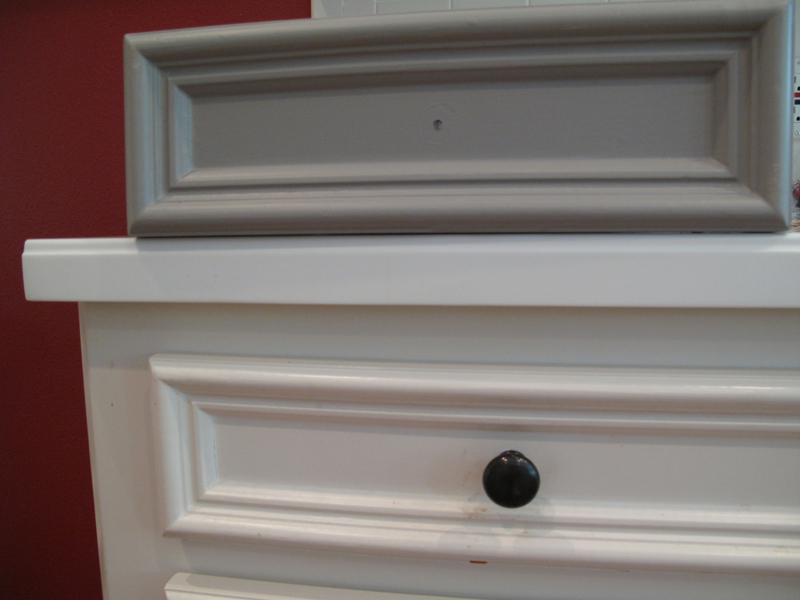 We do not want to have too many different colors, so the cabinets will be either white like the walls or one of two warmer grey tones. The downstairs office, den, study is very, very dark. 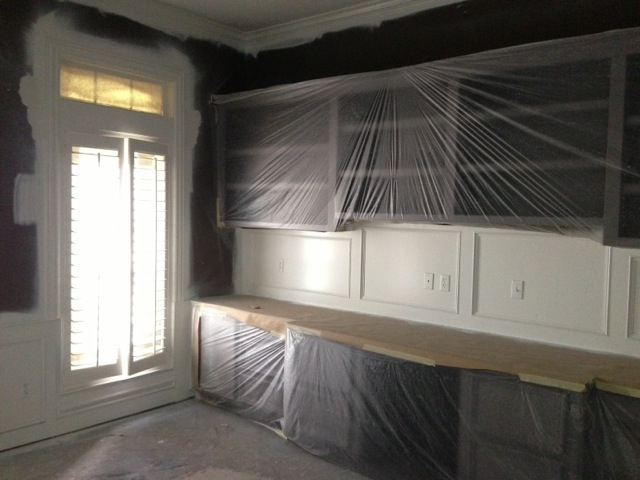 The window frames, the build ins, the wallpaper…big changes need to happen here. And – the build ins will stay in here but will change their “clothes”. 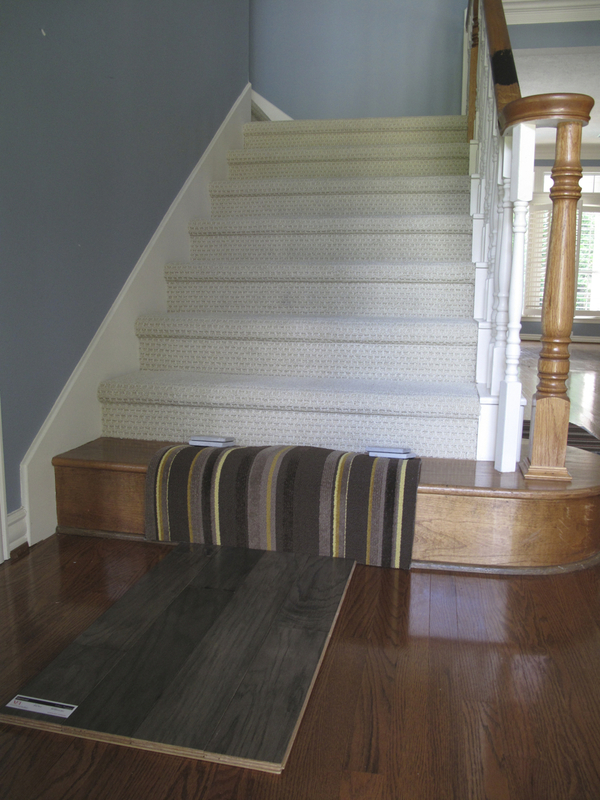 I am not sure whether to go with stripes like that or stay on the safe side with a plain commercial use single color. 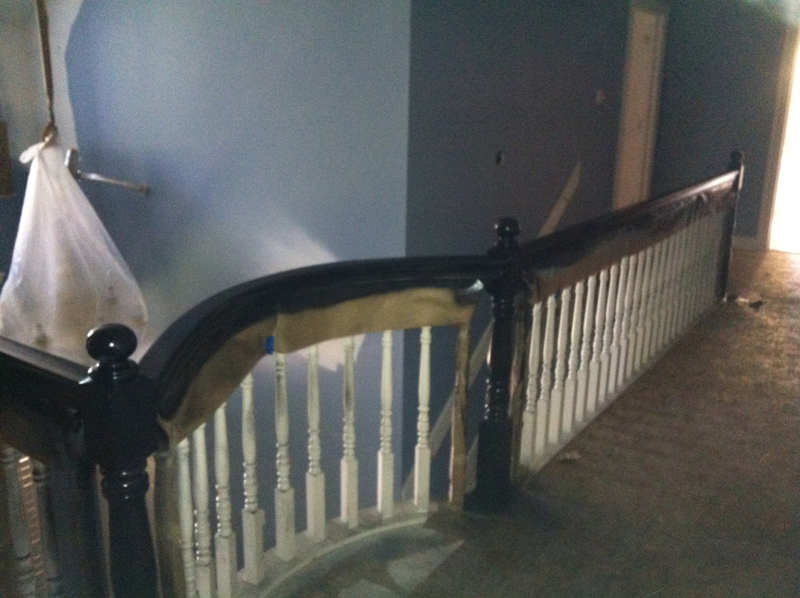 The banister and the bottom step as well as the front door inside and out will be painted in Benjamin Moore Black.